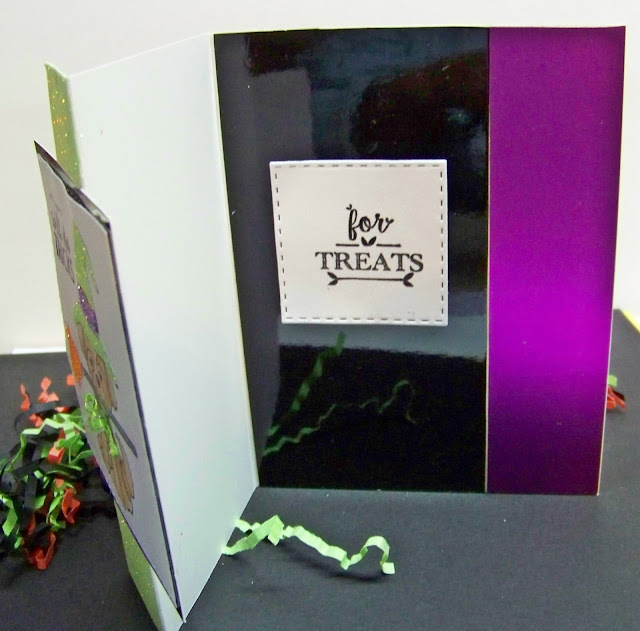 For this card I did a very simple and easy 'Z' fold card. then score at 4 1/2" and 1 1/4". 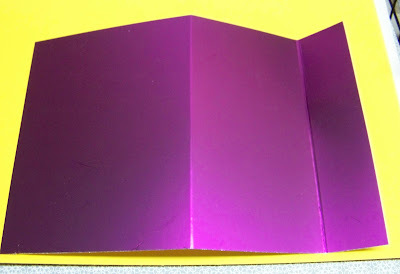 The paper I choose for my card base was Mirror Card Purple Mist Satin. 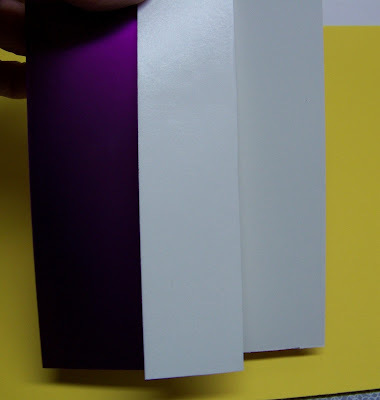 It is white on the backside making it perfect for the inside of the card. trimming where it over hung the front piece. I cut a piece of Mirror Card Glossy Black 3" x 3". then colored with my Copics. 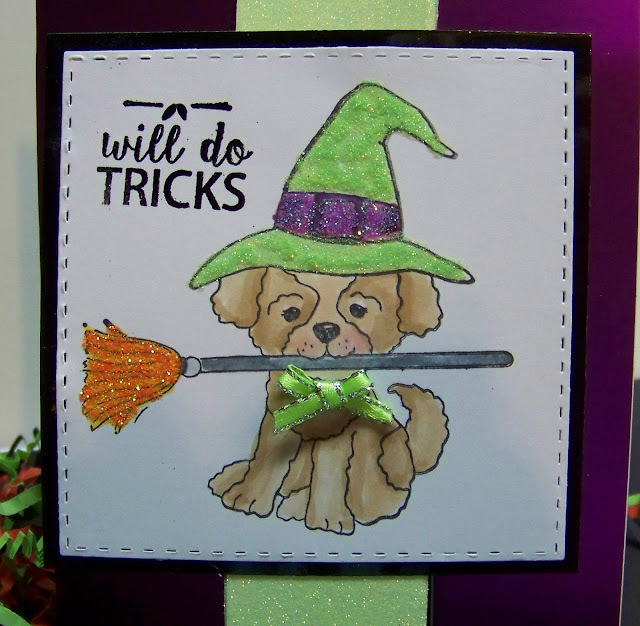 I die cut the image using Tutti Designs Nesting Stitched Square die. glue was added to the hat and glittered with Margarita and Orchid glitters. 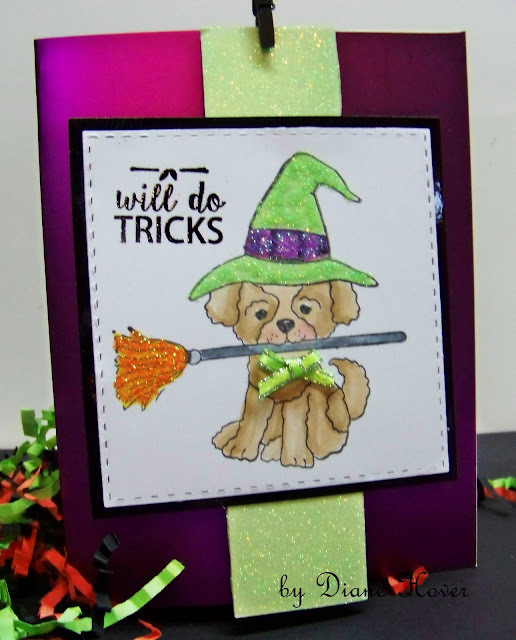 The same was done for the broom, this time using Creamsicle glitter. Once the glues were dry I used the Glitter Brush to clean up the image. A tiny bow was added to the dog. (but first using the anti-static bag before stamping). The sentiments were then embossed with Black Detail embossing powder. 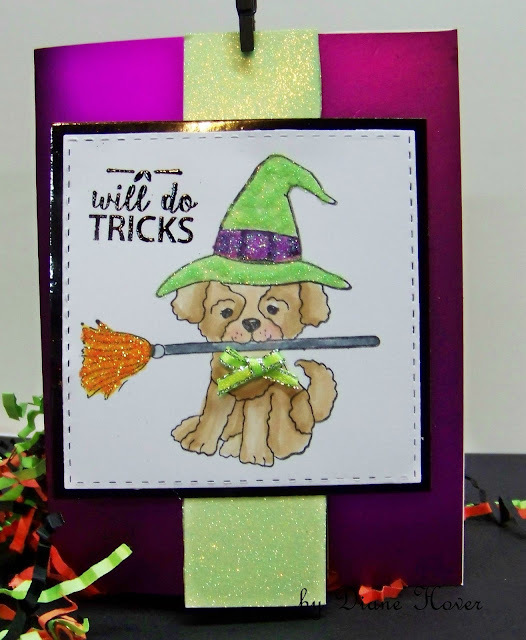 tomorrow for more fabulous design team creations! !